WordPress comes with many useful tools and tricks that allow you to create all kinds of websites and blogs, including private websites. Whether you want to create private pages or posts in WordPress or simply want to hide your entire website from the public, you can do so with just a few clicks. 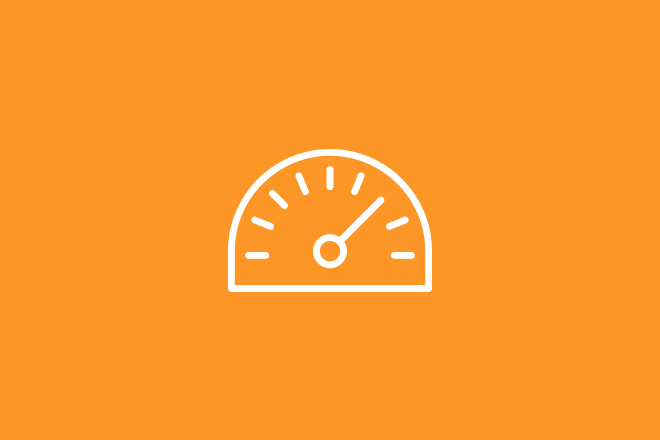 In this guide, we’ll show you how to create private content in WordPress, step by step using both built-in options and third-party plugins. Why Make Private WordPress Sites? There are many reasons to keep a WordPress website or a blog private. Maybe you want to create an online journal to write down your innermost personal thoughts. Or you’re a teacher sharing notes and assignments with your students. Or you want to create a website to store all your family photos and keep it private between your family members. Or maybe you’re developing a blog and not ready go public yet. 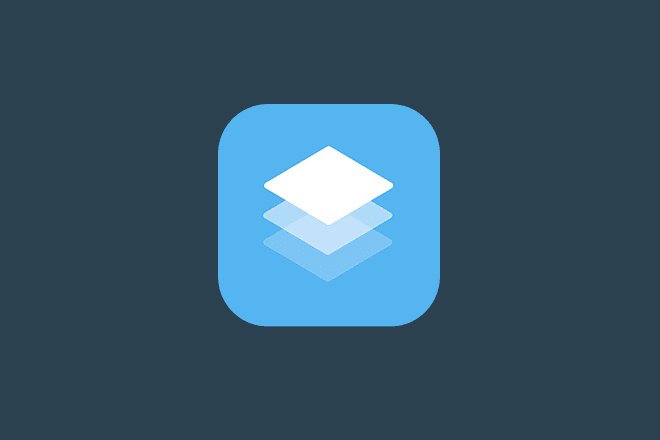 Whichever reason it is, you can use WordPress to easily create a private platform and manage your content more easily between exclusive groups or even store personal data that’s only visible to you. 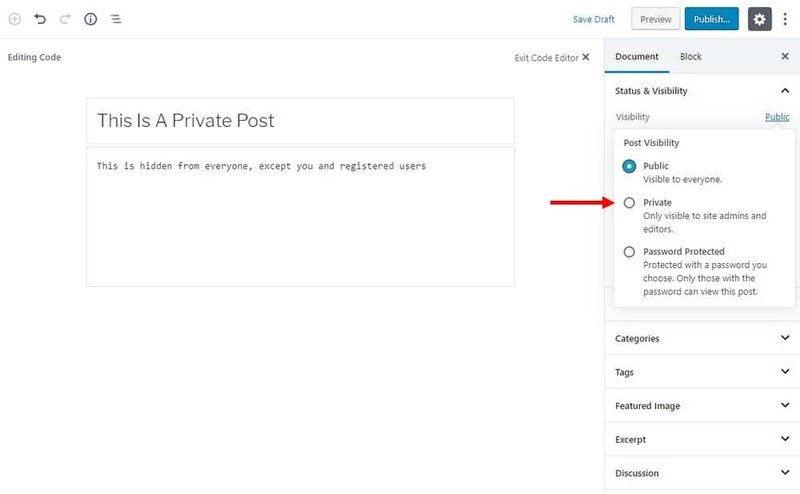 WordPress offers a simple option for creating and publishing private blog posts or pages individually while keeping your website visible to the public. The Visibility option in the Publish options is the trick to doing this. 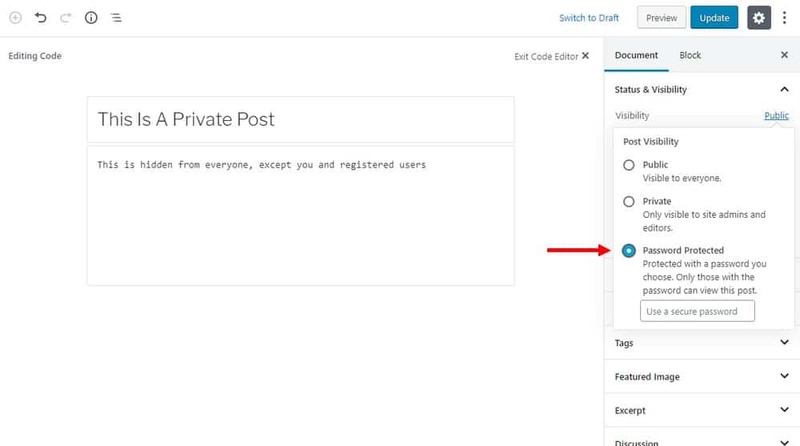 To hide a page or a post from the public, all you have to is to click on the Visibility options link and choose Private from the drop-down list. This will hide your page or post from the public and it will only be visible to registered users who have Editor or Administrator privileges. If you want to change the visibility of an already published post or page, you can do so by changing its visibility settings. Simply choose the post or page you want to hide, click on Edit, and choose Private from the Visibility options. 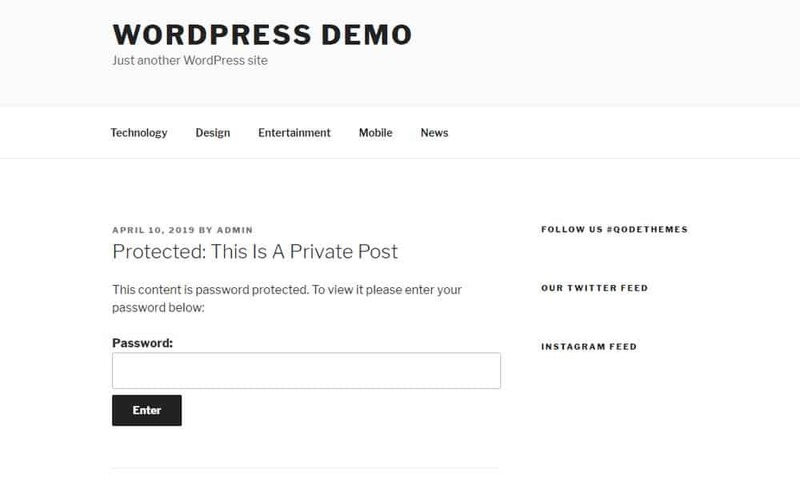 When you create a Private post, it’s completely hidden from everyone except for people who have an account on your WordPress website. But, what if you want to create a page to share with a group of people and allow them to view it without having to register with your website? Yes, it’s possible. This can be done by password protecting your posts and pages. 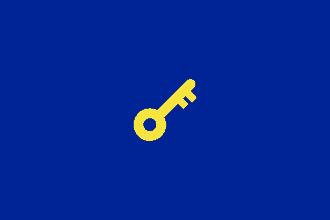 Password protected pages and posts are still hidden from the public but a person with the password will be able to view the post or page without having to create an account on your website. To password protect a page or a post, simply choose the Password Protect option from the Visibility options. Then enter a password you want to set for the post. WordPress doesn’t offer a setting or an option to completely hide a website from the public. If you want to create an entire website in private mode, you’ll have to use a third-party plugin. 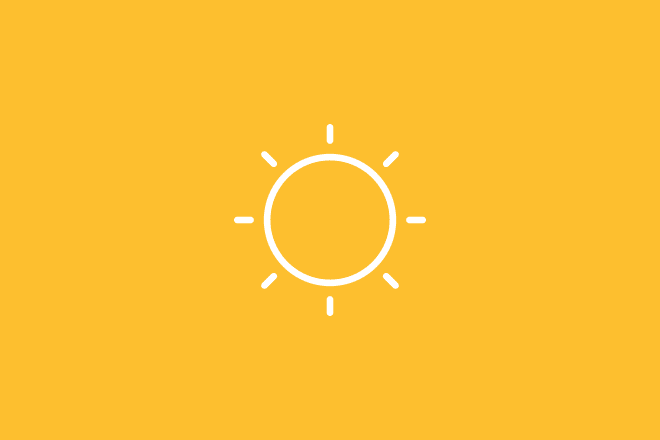 The popular free plugin, My Private Site, allows you to do this with a few clicks. 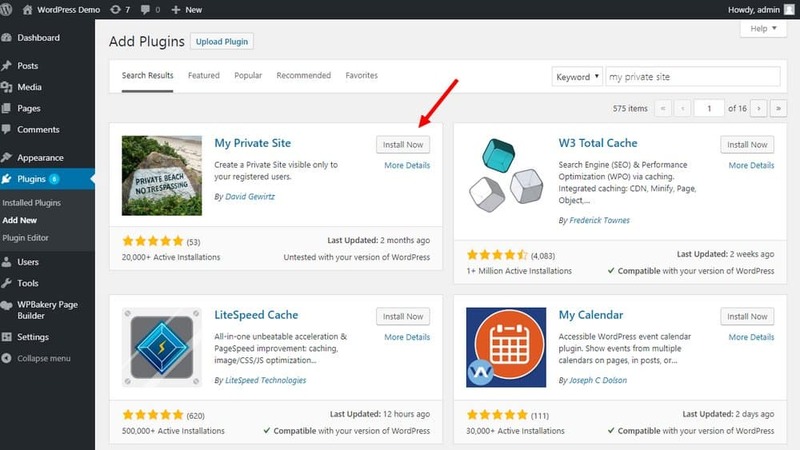 To install the plugin, login to your WordPress dashboard and go to Plugins >> Add New. Then search for My Private Site plugin and install it. 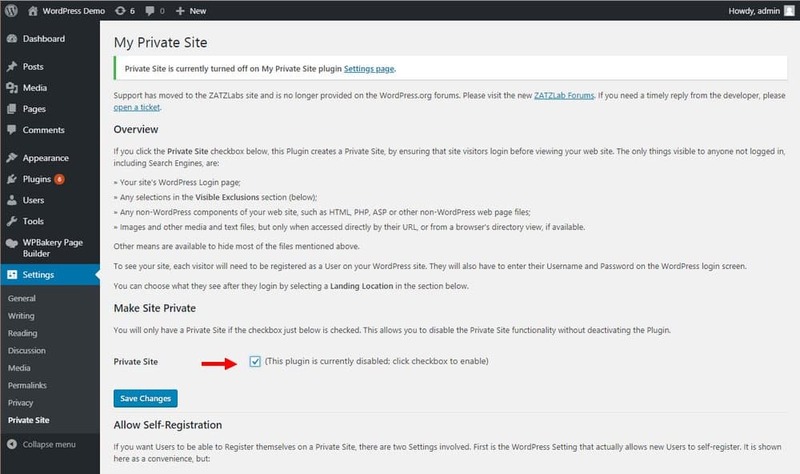 After enabling the site, you need to turn on the private mode using the plugin. Go to Settings >> My Private Site settings page to enable the private mode. You can also customize the plugin settings to your preference to create custom login URLs, let people register an account by themselves, choose what happens when a user login, and much more. Once this plugin is installed and enabled, it will hide all of your website content from the public. It will only be visible to users who have an account on your website. Everyone else who visit your website or click on a link will only see the WordPress login page. Many popular bloggers often use a clever strategy to monetize their website and even generate more leads by creating exclusive content. They do this by locking blog posts and pages behind a paywall or an email optin form. Only users who register for an account or subscribe to an email list can view the page. This is a great strategy that allows you to create a membership website and even earn recurring revenue by creating paid membership plans. Ultimate Membership Pro is a powerful plugin you can use to create such a membership website. This plugin comes with many different ways to hide and lock your content and allows you to create subscription plans with recurring payments, add free and paid trials, implement social login options, and much more. 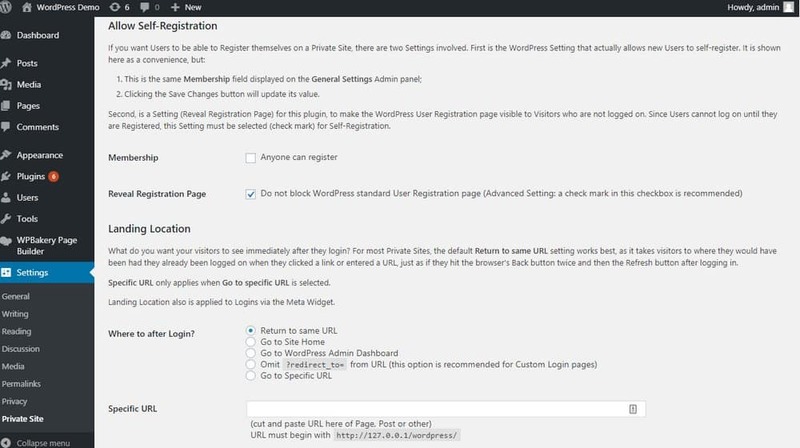 WordPress makes it easier for you to control each member’s access to your website. When making a private WordPress site to share with a group of people, remember to assign roles for each member of your blog with the appropriate privileges. Also, remember to prevent search engines from indexing your private website. You can do this by going over to Settings >> Reading and ticking the box next to “Search Engine Visibility” option.